Designed with runners in mind. Rack up the miles with the ASICS Men’s Gel-Quantum 180 3 Running Shoes, the training shoes designed with runners in mind, whether long distance or short sprints. 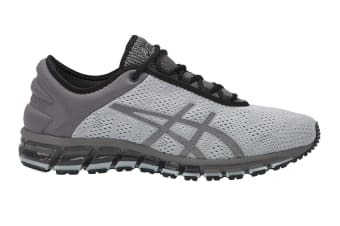 Synthetic leather and mesh upper attests to the ASICS Men’s Gel-Quantum 180 3 Running Shoes’ lightweight feel, allowing you to push harder and go for longer without feeling anchored down. GEL Cushioning Technology means you can run hard without worrying about pain – ASICS’s GEL absorbs shock during impact and allows you to transition to mid stance with minimum discomfort. Take on your own PBs and let the ASICS’s EVA sock liner wick moisture from your body, leaving your feet sweat-free and cool for the whole workout.